I don't have a ton of information to go on as this is was my great grandmothers. I think it might be 40's or 50's. I am debating on refurbishing it or selling as is. 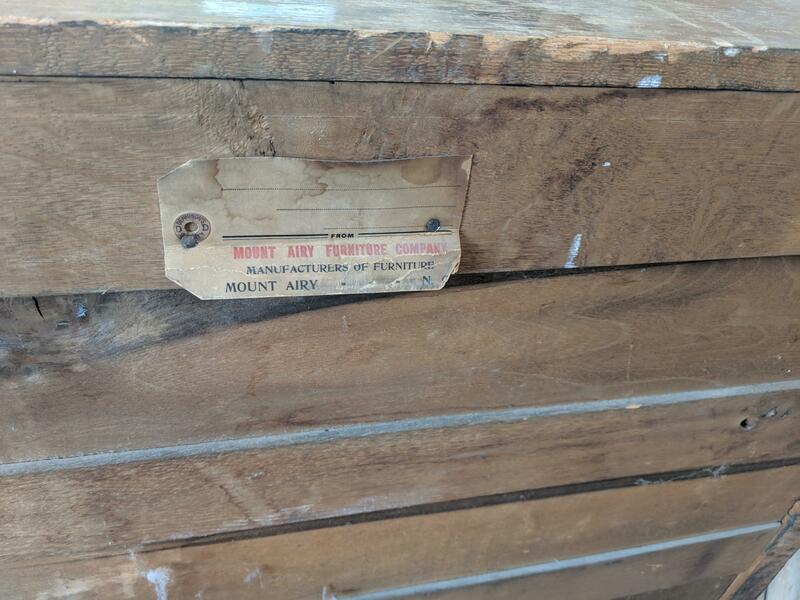 Everything on it appears to be original except for the wallpaper that was added to the drawer. My mother passed away unexpectedly so we weren't given any information on this. 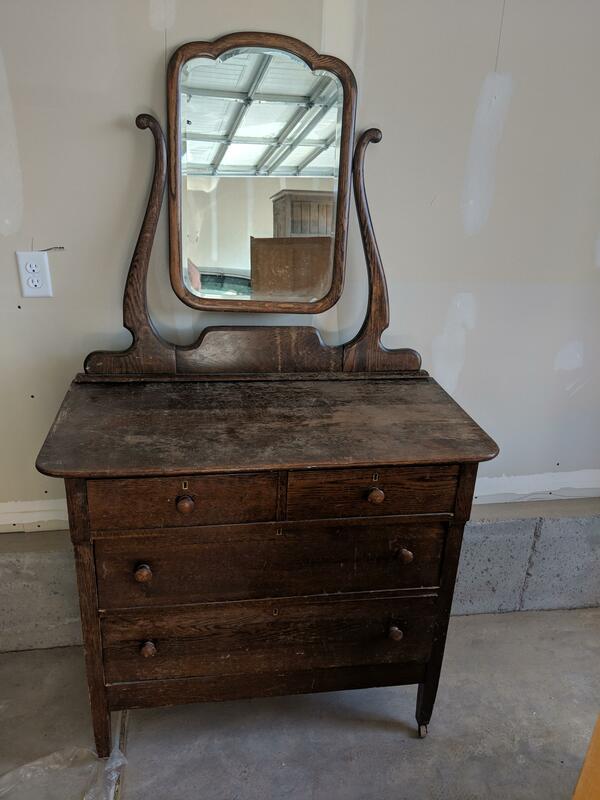 I am more curious as to the history (Timeline) of this dresser, so I have an age to tie to it,.